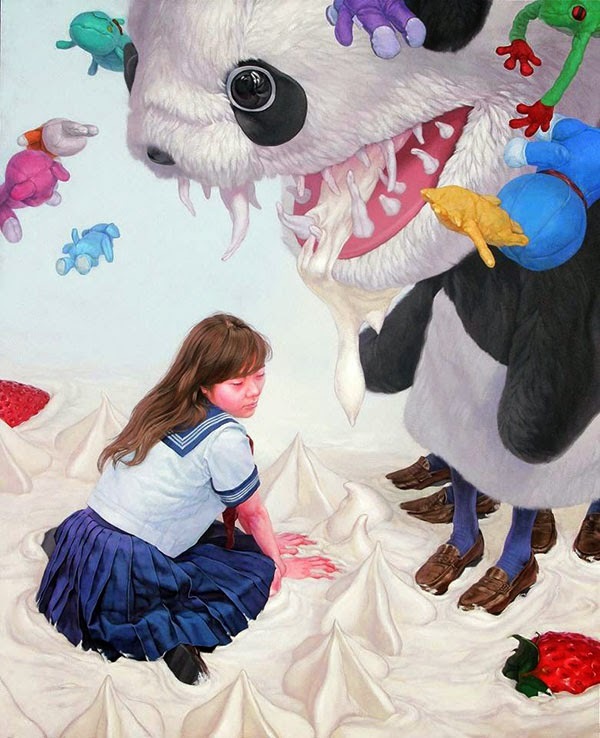 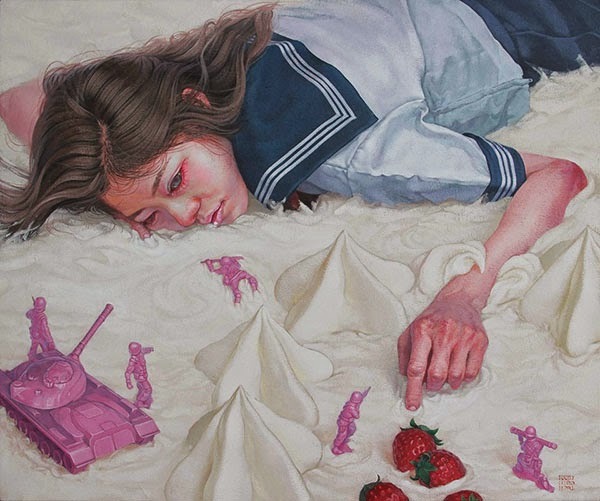 Paintings depicting young high school age girls with motifs such as toys, sweets, and flowers by Japanese artist Kazuhiro Hori. 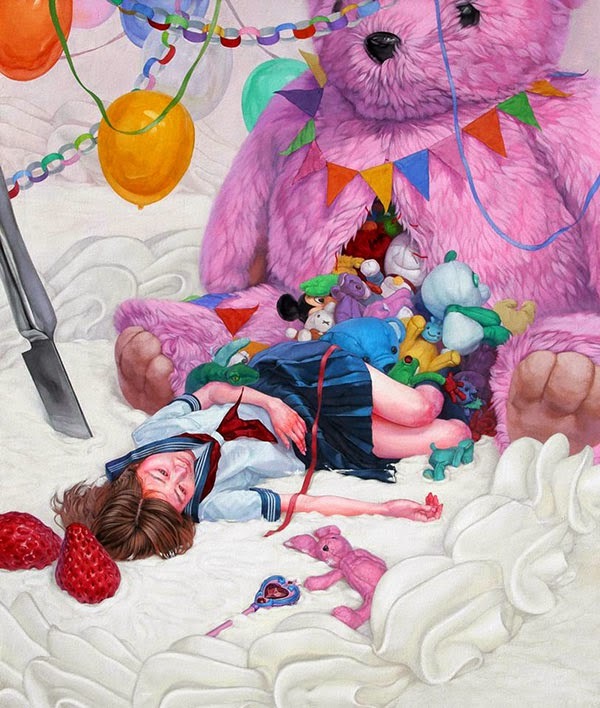 The bizarre contrast between the soft, cuddly and adorable with the depressing and macabre is intended to create a mixed emotional reaction from the viewer. 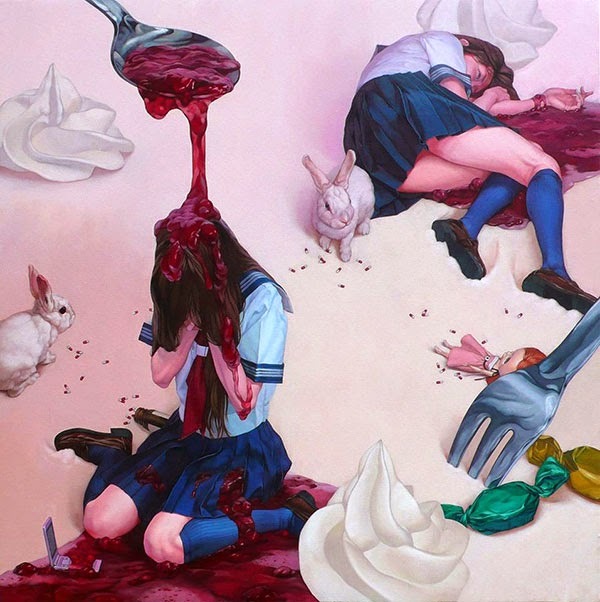 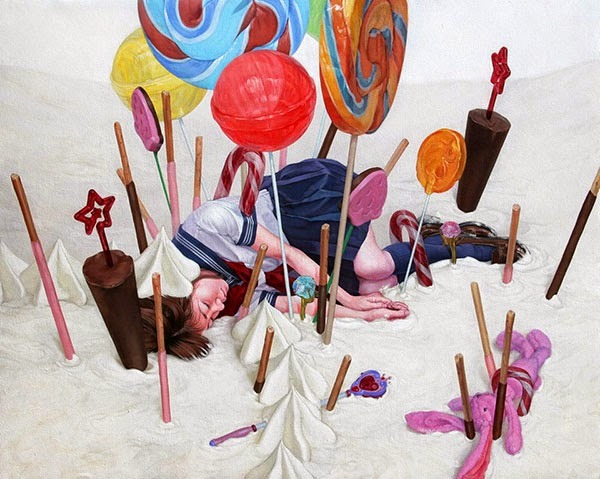 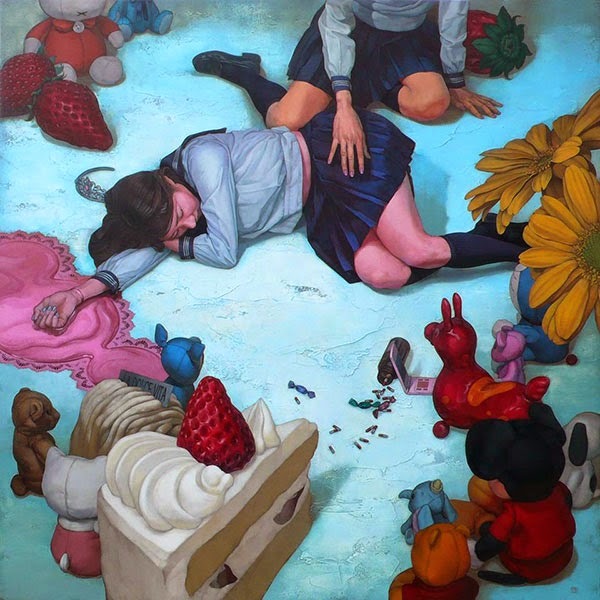 The paintings remind me of the works of Will Cotton which uses solitary female figures in a candy-filled environment.